In June 2017, farmers in Maharashtra organised an amazing movement. They decided to stop sending their produce to cities. As a result, an overwhelming majority of Agriculture Produce Marketing Cooperatives did not receive any produce. The state’s Chief Minister, Devendra Fadnavis, worked out a deal with the leaders of one section of farmers. The agreement was rejected by most farmers’ organisations. They organised a statewide bandh in Maharashtra on June 5. The strike spread to many districts of Madhya Pradesh. Certain developments had ignited the protest. Crop prices had crashed because of a bumper crop. Pulses were particularly affected. Following a shortage of pulses in the country, the Central government had enhanced the MSP for tur from Rs 4,500 to a little over Rs 5000 per quintal. This was packaged as a major step to promote higher production of pulses. The farmers obliged, cultivation and production went up, but the government failed to fulfil its part of the promise. State agencies failed to procure much of the production at the assured price. Instead of getting Rs 5000 a quintal, the farmers were forced to sell tur at Rs 3000. The soyabean farmers of Madhya Pradesh and chilli farmers in Telengana faced a similar predicament. There were reports that tomato and potato growers in different parts of the country preferred to discard their produce rather than sell it for a ridiculous rice in the mandi. Moreover, a spurt in the import of pulses from Myanmar, Tanzania, Mozambique and Malawi led to a fall in the price of tur from Rs 11,000 per quintal to Rs 3,800 to Rs 4,000 per quintal since December 2016. Agricultural policies have previously boosted the production of crops in short supply, but the government has fixed low prices for the commodities. This shows that rising production on its own cannot lead to fair prices for farmers. Because of the high cost of these factors of production, the prices at which farmers sell their produce often fall lower than than the amount they spend. Paddy in Madhya Pradesh was once sold at a price that was 15 per cent less than the cost of production, while wheat was fetching them just a 2 per cent profit. The issue of ‘loan waiver’ is arguably the most politicised in terms of agriculture. By writing off loans availed of by farmers in Uttar Pradesh, the Yogi Adityanath government raised similar demands in other states like Maharashtra. An atmosphere is created where the farmers lose the incentive to repay their loans. It has been argued by several Opposition leaders like Rahul Gandhi that “Narendra Modi could waive loans worth Rs 1.50 lakh crore of the richest people in India, but can’t pay heed to the plight of farmers”. If basic problems like low prices and high cost of production are not addressed, loan waivers can at best be a temporary relief rather than an enduring solution. The BJP has opened a Pandora’s box by announcing a loan-waiver for farmers in UP before the state assembly elections. 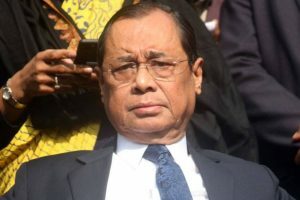 The party did not consider the pros and cons of this decision which has led to violence almost throughout the country. It had set a wrong precedent to win the elections because banks cannot recover loans. This will almost certainly increase the bad debts of banks. In turn, the banks might be compelled to stop all loans to farmers. According to a report of the Comptroller and Auditor General, 13.5 per cent of loan accounts were denied the waiver though they were eligible for the same, while as much as Rs 20.5 crore was spent on waiving debts of non-eligible farmers. Worse, many of them had taken loans for non-agricultural purposes. Debt waiver receipts were not issued, records were tampered with in over 2,000 cases, with claims totaling Rs 8.6 crore. One major reason for the decline of farming is that the farms in the country are now among the world’s smallest. While the global average of landholding is 5.5 hectares, the per capita availability of land in India from 1951 to 2011 declined by 70 per cent, from 0.5 hectares to 0.15 hectares. Small and marginal landholdings constitute 85 per cent of the number of operational farms. Small farms make it difficult for farmers to use modern machinery because such farmers are too poor to afford such equipment. Manual labour costs also increase. And the small size and output make it difficult for the farmers to obtain loans and institutional credit. The demonetisation of Rs 500 and Rs 1,000 notes did not help most farmers generally. Tomato farmers in Karnataka and Tamil Nadu and onion farmers in Maharashtra and Gujarat were the worst hit, as their prices fell by 60 per cent to 85 per cent. Moreover, the purchase of agricultural products by government agencies has flopped all over the country due to massive corruption. Farmers all over the country are facing similar problems. The situation will take ugly turn if the BJP government at the Centre fails to address the issue. The farmers’ strike in Maharashtra in 2017 spread to Madhya Pradesh and various other states. The Fadnavis government had alleged that the strike was the handiwork of its political opponents, mainly, the Shiv Sena and the NCP. Facts deny this claim. While the Opposition parties certainly extended covert support, the organisations and leaders involved in bringing the farmers together were not affiliated to any of the major parties. In fact, the Congress and the NCP are yet to recover from the shock defeat in the municipal elections across the state. 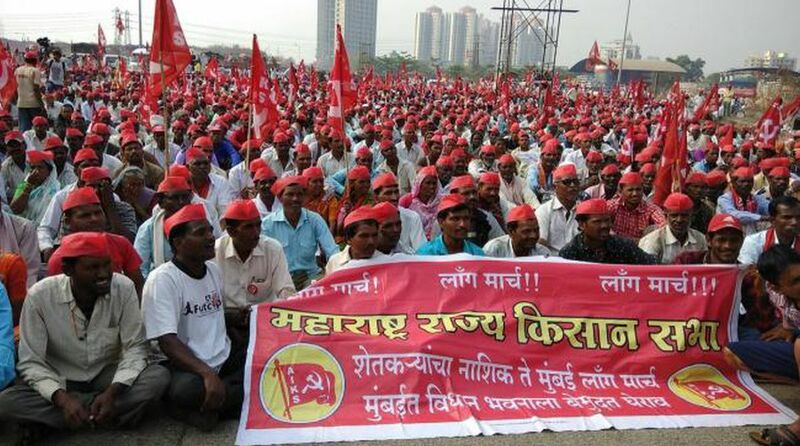 The farmers’ strike in Maharashtra, Madhya Pradesh and other parts of India is not a localised, seasonal, crop-specific or calamity-driven distress. This protest is linked directly to the crisis of Indian agriculture, a crisis that has now assumed three forms ~ there is an ecological crisis. Modern agricultural practices are unsustainable. Resource and water-intensive fertilisers and pesticide-heavy farming have now reached a dead-end. Second, the agrarian productivity is not in keeping with the country’s requirement and the availability of land and resources. The third is the existential crisis of the farmer. Farming is an unviable proposition. The price of agricultural commodities has not kept pace with input costs and consumption expenditure of the farmer. The farmers barely manage to survive in a “good year” and find themselves in a debt-trap in any adversity. The phenomenon of farmers’ suicide is related to this crisis. The strike in Maharashtra has sought to address this fundamental crisis. The farmers have not demanded any immediate or localised relief. Instead, they have raised the fundamental issue of crop prices. They have demanded the implementation of structural reforms, as suggested by the Swaminathan Commission. They have demanded a loan-waiver for all farmers. These are some of the long-standing demands of the movement that no party is willing to address. The farmers in Maharashtra have shown the path. Farmers in the rest of the country will now have to hold the baton and take this struggle to its logical conclusion. The writer is a Retired Head of the Department, Political Science, Asutosh College, Kolkata.